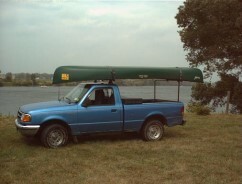 To properly carry your canoes and/or kayaks on your pickup, you will need a front rack (over the cab) and rear rack placed as far back on the truck as possible given the length of the boat(s) to be carried. 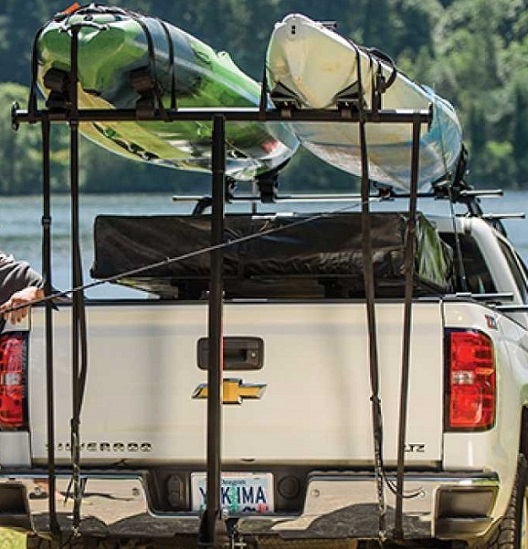 Our Pickup Truck Rear Rack system compliments the best sport rack in the business...Yakima. 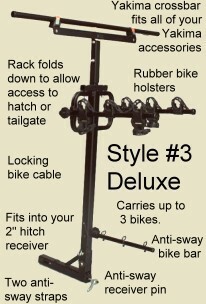 We use and recommend a single Yakima rack for the (front) cab portion of your carry system. The BaseLine rack is removable and makes a very secure and rigid carry system. 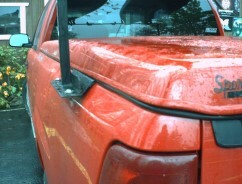 We can fit most truck cabs or cars without rain gutters with a Yakima rack. We recommend the front rack be mounted over the cab. We do not recommend buying a pair of Rear Racks. This well proven rack fits most pickup truck cabs. Certain Pickup cabs are still best served with the Q-Tower. A single Yakima Q-Tower rack is a bit less cost than the latest greatest, BaseLine. We use and recommend a single Yakima Q-Tower rack for the (front) cab portion of your carry system. 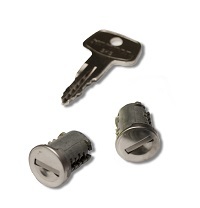 This will make for an easy on/off, secure and rigid carry system. 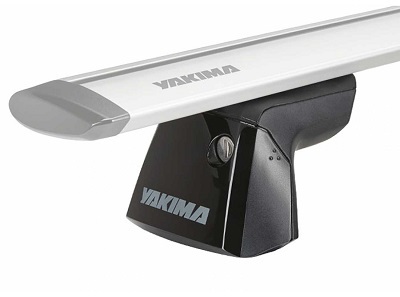 We can fit most truck cabs or cars with OR without rain gutters with a Yakima Q tower rack. Our Wonder Bar rack fits all pickup truck cabs. A great option for a "No Fit" cab (No Yakima fit available). WonderBar is an EZ-on-EZ-off rack. 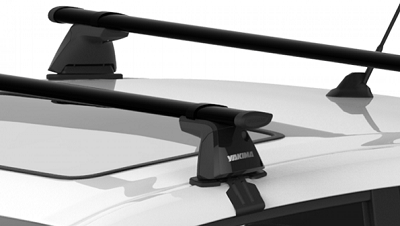 The Oak Orchard "Wonder Bar rack" will fit any vehicle, even those Yakima or Thule can't fit. The Wonder Bar rack is on sale for $129.95. 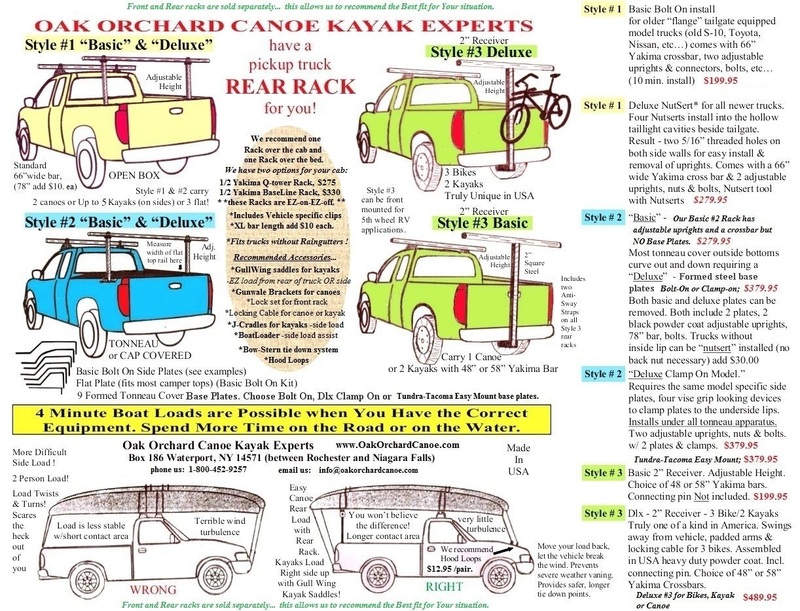 Many other racks are designed as ladder racks or utility racks: Oak Orchard Racks are designed for canoes and kayaks. We stock specific accessories for both front and rear racks which allow you to carry your canoe or kayak safely and securely. Our round crossbars allow kayak saddles or canoe loadstop gunwale brackets to rotate and match the shape of your craft perfectly. See below for more details on our Truck Racks. For addtional information view our Truck Rack Brochure online. Adjustable uprights for smaller/mid-size or full-size trucks. HD Steel, square 1" tubing, with black finish. Mounts to the inside of your open truck bed near the tailgate. A 66" Yakima Bar is included. Add $10. to upgrade to a 78" bar. This is our Basic style #1 Truck Rack. Some Early trucks like Chevy S-10 models, Toyota or Nissan trucks(80's and early 90's) may not require our Deluxe style #1 nutsert option. These older vehicles have a metal flange at the rear of their box where the tailgate closes against. This basic Rack uses bolts and lock nuts thru our pre-drilled uprights into this "flange". Without a flange you would need to remove the tail light assembly during installation of the rack. This is our Deluxe Adjustable height #1 Truck Rack. We recommend this deluxe version for All new full-size, mid-size and smaller trucks. The deluxe rack's nutsert and flaring system means easy installation and day to day removal of the Rack is really easy. When "Nutserts" are installed you will end up with two "threaded" holes, the size of a pencil, one above the other, about two inches away from your tailgate. Opposite of this flat side wall area is where your taillights are located. Remove two screws retaining the light assembly so you can visibly eyeball there is nothing interfering with the two holes to be installed. You can watch the nutserts properly tightening. These nutserts eliminate the need of a locknut and wrench on the backside. Slick huh? Uprights remove and reinstall in minutes! (you do not need to remove the tail light) -just loosen 2 bolts per side. Our Deluxe #1 Rack is HD steel with black powder coat finish. 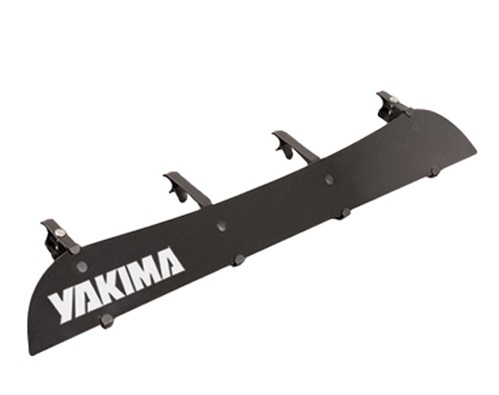 Overall width of a 66" Yakima bar is no greater than the outside of rear fenders. 78" bar - not as wide as mirrors! Basic #2 style Truck Rack with NO Base Plates. This economical Rack will is good where uprights can be right over the mounting points. Our Flat Base Plates may be added. Flat plates are the same level as the bed rail and don't turn over and down like our "formed" base plates do. Deluxe #2 style Truck Rack with Formed base plates. If you have a tonneau cover or cap, we will need you to measure the width of your trucks "bed rail". This a flat area on the upper side of the truck bed. We like to make sure we ship the correct plate for your specific truck. Plates mount under the tonneau cover frame and protrude outward from the bed rail a couple of inches. Our adjustable height uprights then mount on this base plate, outward from the tonneau cover or cap. Uprights and crossbar can be disassembled in minutes, leaving just the HD Steel Base Plates on your Truck. Crossbar can be removed from uprights in seconds OR the uprights & crossbar can be removed from the base plate as one piece for storage, ready to re-install. Most often our #2 Rear Rack fits between the axle and tailgate; this varies with the length of your craft and taper of the bedrail. We recommend the front rack be mounted over the cab. We do not recommend buying a pair of #2 Rear Racks. Option: Canoe Brackets [shown] +$69.95 and up (great for canoes, some SOT kayaks). Option: Kayak cradles +$39.95 and up (for kayaks). Insert our special bolts into the factory installed side tracks to mount our #2 style Truck Rack with Formed base plates. Wow, that's slick! Clamps to your truck's bed rail inside lip for easy rack removal. Set of (4) clamps with appropriate 2 Formed Base plates. (May not work on some flare side models) Nutsert installation kit -Same price as our Clamp-On version. 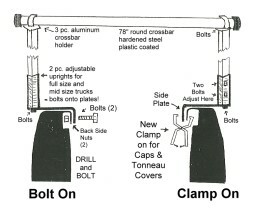 "Nutserts" may be installed into Bed Rail for Easy on-off. NOTICE:Front and Rear racks are sold separately. Note: Most Pick-up Truck models use our Formed Base Plates; these normally fit on the bedrail between the axle and the tailgate. This works well for most Trucks and Tonneau covers we see. The Ford F-Series requires a specially Formeded (and tapered) base plate because it's bed rail is tapered. The truck's bedrail is Narrow at the tailgate, getting wider as it goes forward. Our base plates normally fit on the bedrail between the axle and the tailgate. This is our quickest installing rack and does the job when others won't. 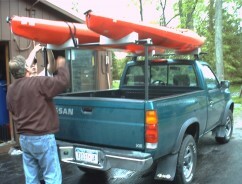 Comes complete with a 48" Yakima bar to carry one canoe or two kayaks. Includes 2 stabilizer straps to reduce slight wiggle from receiver. Load limit - 200 lbs. Available w/ 48" or 58" bar only. HD Steel with black finish. Available in two receiver sizes: 2" OR 1 1/4"
Note to 5th wheel RV haulers: our #3 Style rack can also be FRONT mounted! You just need a forward receiver hitch. Adjustable Height -one setting for full sized trucks and one for small/mid sized vehicles. Note: Most competitors receiver racks are made in China from thin wall steel. These have a lot of wiggle where they join together in addition to the wiggle at the receiver! No good Canoe brackets or Kayak saddles will fit on these so therefor the rack is not very good for kayaks or canoes! Our #3 Style rack is HD steel box construction, welded to our HD steel upright and topped off with a Yakima bar. Any Yakima accessories will fit on this rack. Deluxe #3 - Carry Bikes & Boats! Available with 48" or 58" bar only. Carries your canoe or kayak or up to three bicycles. Folds down for access to hatch or tailgate. This is a very high quality bike carrier with rubber holsters and locking bike cable. Adjustable Height -one setting for full sized trucks and one for small/mid sized vehicles. HD Steel with black finish. Included is a special "threaded" receiver pin and two anti-sway straps to limit any side sway. or call to request your copy. 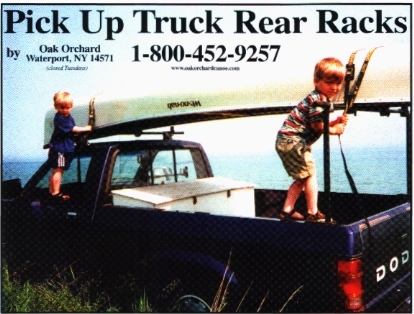 Since 1974, Oak Orchard has cartopped well over 100,000 canoes and kayaks. We have Installed thousands of racks on cars and trucks. Our family owned, personalized service is second to none. We are definitely worth the drive (or phone call) from where ever you are! When requested; we can assit our customers in boat loading, tie-down, and rack install. We do not help install any racks or carriers purchased elsewhere. 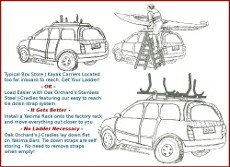 We can help you install the rack, show you how it works and how to load and safely tie-down your kayak or canoe. We do sell other brand racks BUT, this is the rack we swear by... not at! in the same move - Save Time, Hassle, and Better MPG! Yakima Racks are sold in components. This makes them very adaptable to many different vehicles. In comparison; racks from your car dealer generally cost more, carry less and can't be adapted to future vehicles. Generally you'll need to buy Towers, Cross Bars, plus a canoe brackets OR kayak saddles to have a complete Rack System. For some Towers you'll also need specific Clips for your vehicle. Don't worry, when you call to place an order we'll make sure you order all the correct components for your make, model, and year of vehicle. OR if you would like, use our	Yakima Rack fitter to find what you need for your vehicle, then buy it right here! 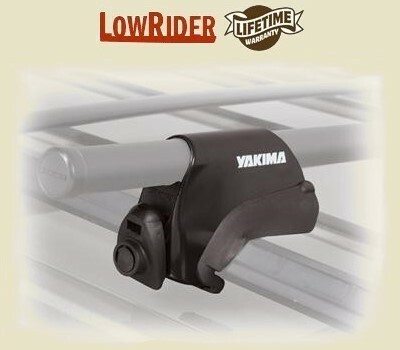 Canoe brackets and kayak cradles or saddles to use with your Yakima rack can be found on our rack accessories page. 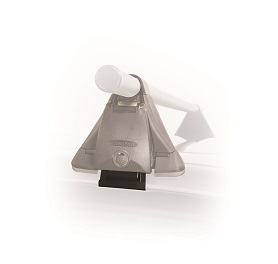 Self-adjusts for virtually any roof with ball and socket mechanism. Requires Q clips and bars--sold separately. Over 100 interchangable Q clips available to ensure a perfect fit on the vehicle you now own -or one you might get in the future. Innovative design allows you to remove your rack quickly by lifting the quick cam lever without changing how well it fits! (try that with a Thule). Yakima Cross Bars required (sold separately). This is ONE pair of Q towers only. 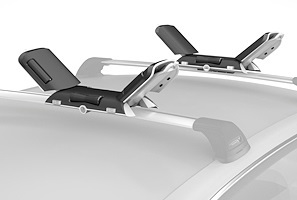 Yakima's Q-Tower design Self-adjusts for virtually any roof with it's ball and socket mechanism. Requires Q clips and bar--sold separately. Over 100 interchangeable Q-clips available to ensure a perfect fit on the vehicle you now own -or one you might get in the future. Two per pkg. (Also sold in full set of four.) When used with a pickup truck rear rack, only one pair Q towers is required for the cab. SKS lock compatible (sold separately). Yakima Cross Bar and Q clips required (sold separately). 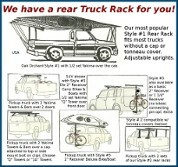 Complete Yakima Q-Tower rack system, just add kayak saddles OR canoe brackets and you're ready to go paddling! Kit includes 4 Q-Towers, 4 Q-Clips and 2 crossbars with end caps. 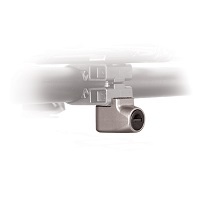 Q-Towers self-adjust for virtually any roof with ball and socket mechanism and vehicle specific Q-Clips. Innovative design allows you to easily remove your rack quickly by lifting the quick cam lever without changing how well the rack fits! (try that with a Thule). Q-tower's thoughtful design can fit vehicles with a curved (or flat) roofline, they can also fit a curved (or straight) door opening (try that with a Thule). Just enter your vehicle brand, model, and year and we'll send the right parts based on our master Yakima fit book. Select: Ship to me; -available to 48 states. Select: Shipping to 48 states. Enter your Vehicle Year, Make and Specific Model: Choose Shipping or In-Store Pick Up: Shipping to 48 States Free In-Store PickUp Assemble and Install ADD $40. 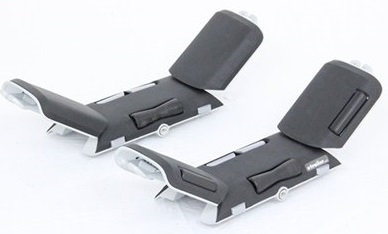 One pair of Yakima Q-Clips is required for each pair of Yakima Q-Towers. New in Box... Each box contains two clips, two Teflon clip guards and two Q-tower base pads. Instructions. 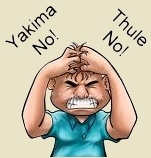 See Yakima fit list to fit your vehicle. 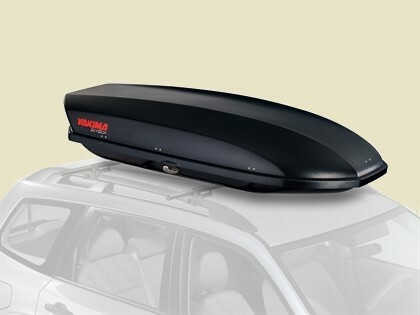 Each Yakima Q-tower has a rubber like base pad that plugs into the bottom and protects your car roof from scuff marks. These get worn out by the weather and sometimes get lost. They are very important to keep your rack secure so don't try to use your rack without them. Each base pad has a letter (A, B, C, D, E, F) stamped into the underside. Four base pads would be required for a complete Yakima rack with two crossbars and four Q-Towers. One replacement pad sold here per Each. Add to shopping cart, then edit Qty you want. This is TWO pair of BaseLine towers only. If you have a naked roof vehicle chances are we can put a BaseLine rack on it. The BaseLine Rack by Yakima is the best you can get for most sedans, coupes or the cab of most pickup trucks. BaseLine towers grab onto your vehicle and refuse to let go. Compatible with classic Yakima round bars (adapter required) as well as the aerodynamic Core bars and Jetstream bars. 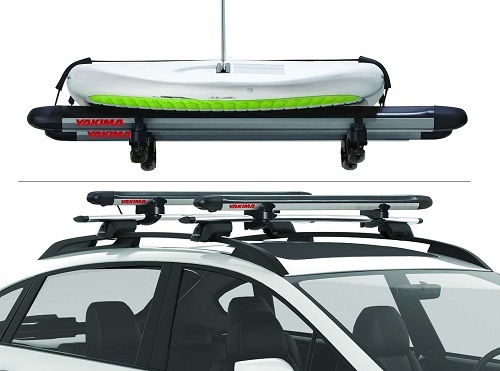 Add Yakima crossbars to carry canoes, kayaks and all sorts of stuff you can't fit in the trunk! CAUTION ! Many vehicles have very flimsy crossbars -we recommend sturdy YAKIMA crossbars which are engineered for canoes and kayaks. This Rack installs or removes with torque wrench tool (included). Patented technology. This is ONE pair of Base Line towers only. The BaseLine Rack by Yakima is the best you can get for most sedans, coupes or the cab of most pickup trucks. BaseLine towers grab onto your vehicle and refuse to let go. 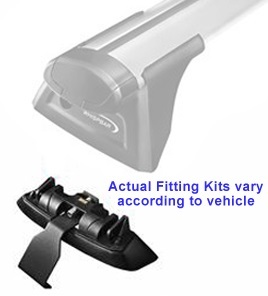 Yakima Cross Bar and Base clips required (sold separately). 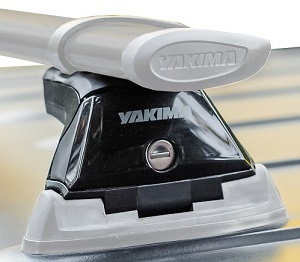 One pair of Yakima BaseClips is required for each pair of Yakima BaseLine Towers. New in Box... Each box contains two clips and two BaseLine Tower base pads. Instructions. This is a complete Yakima BaseLine rack system; just add kayak saddles OR canoe brackets and some straps and you're ready to go paddling! Kit includes 4 BaseLine Towers, 4 Base clips, 2 crossbars with end caps and instructions. SELECT classic Yakima round bars (with adapter) OR the aerodynamic Core bars OR Jetstream bars. Just enter your vehicle brand, model, and year and we'll send the right parts based on our Yakima master fit book. Choose Free Shipping or In-Store Pick Up: Free Shipping to 48 States Free In-Store PickUp Assemble and Install ADD $40. This is one complete Yakima BaseLine rack for the cab of a pick-up truck. Just add a rear rack, kayak saddles OR canoe brackets and some straps and you're ready to go paddling! Kit includes 2 BaseLine Towers, 2 Base clips, 1 crossbar with end caps and instructions. The BaseLine Rack by Yakima is the best you can get for most sedans, coupes or the cab of most newer pickup trucks. BaseLine towers grab onto your vehicle and refuse to let go. 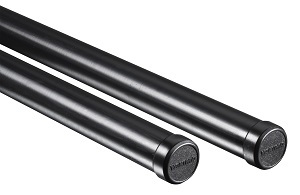 SELECT classic Yakima round bars (with adapter) OR the aerodynamic Yakima Core bars. Choose Shipping or In-Store Pick Up: Shipping to 48 States Free In-Store PickUp Assemble and Install ADD $40. 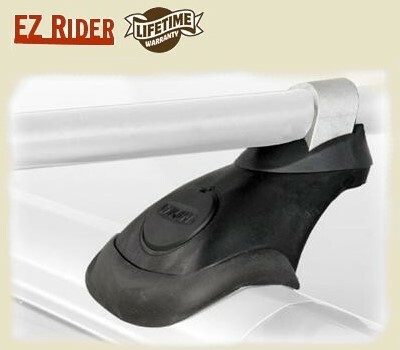 This is the EZ-On EZ-off version of the RailGrab for raised side rails. Fits a broad range of Factory-Installed vehicle luggage racks with Raised Siderails -Including smaller European rails to oversized rails. Lower profile provides sleek, integrated look that's EZ on-off. Towers install in seconds with a simple lever turn - no tools needed. LowRiders can be installed or removed without disassembling the rest of the rack. This is TWO pair of TimberLine Towers only. TimberLine Racks are super solid, easy to install or remove. TimberLine fits all kinds of vehicles with raised side rails. Fits a broad range of Factory-Installed vehicle luggage racks with Raised Siderails -Including smaller European rails to oversized rails. TimberLine also Fits 2011, 2010, 2009 (and prior) Dodge Caravan/Chrysler Town and Country vans and tons of other minivans and sport utility vehicles with a raised rail style factory luggage rack. 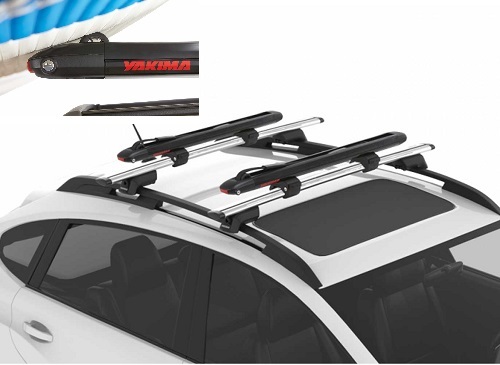 Complete Yakima TimberLine rack system; just add kayak saddles OR canoe brackets, straps and you're ready to go paddling! Kit includes 4 Towers and 2 core bars with end caps and instructions. Just enter your vehicle brand, model, and year and we'll send the right parts based on our master Yakima fit book. ADD $10 ea. for 80" core bar. Choose Shipping or Store Pick Up: Free Shipping to 48 States In-Store PickUp, install +$40. 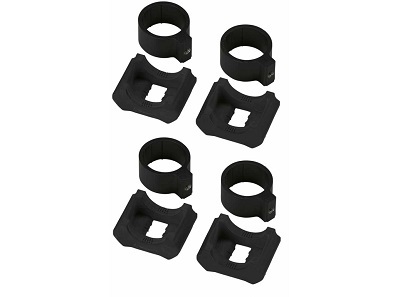 Set of four "claws", for use with Low Rider Max rack Towers. One box; a Set of four claws. [towers and bars not included]. Regular Price $43. A specialized tower system built for those hard to fit side rails. Fits raised or flush-mounted side rails with an interior track. Dual claw design bites securely onto side rail. Low profile, sleek look. Requires round Yakima bars, they are sturdy enough for just about any load. One box; a Set of four towers. [crossbars not included]. This is a box of FOUR Sky Line Towers by Yakima. 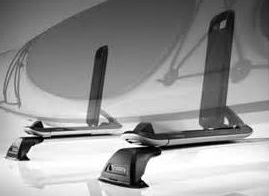 Get more productivity and safety from your Car, Truck, Crossover, SUV or Minivan with Yakima Sky Line Towers. Compatable with classic Yakima round bars (adapter required) as well as the aerodynamic Core bars and Jetstream bars. Quick and easy attachment to Landing Pads (required, sold separately). Snap-fit design provides solid, secure fit to car. Easy to adjust crossbar spread on track applications without removing tower or bar. Landing Pads fit a broad range of factory tracks and other vehicle applications: Truck caps with bolt through hardware, Direct to vehicle roof with plusnut hardware. Cross Bars required (sold separately). Complete Yakima Sky Line Tower rack system; just add kayak saddles OR canoe brackets, straps and you're ready to go paddling! Kit includes 4 Sky Line Towers, 4 Landing Pads, 2 crossbars with end caps and instructions. Quick and easy attachment to Landing Pads (required, specify vehicle). Landing Pads fit a broad range of Factory racks, factory tracks and other vehicle applications: including Fiberglass Truck caps with bolt through hardware, Direct to vehicle roof with plusnut hardware. Cross Bars required (specify type). 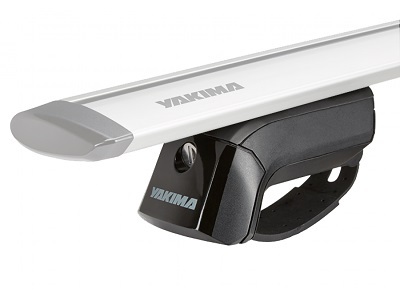 SELECT classic Yakima round bars (with adapter) OR the aerodynamic Core bars OR Jetstream bars. ADD $10 ea. for 78" or 80" bars. This is ONE pair of Sky Line towers only. Get more productivity and safety from your Car, Truck, Crossover, SUV or Minivan with Yakima SkyLine Towers. 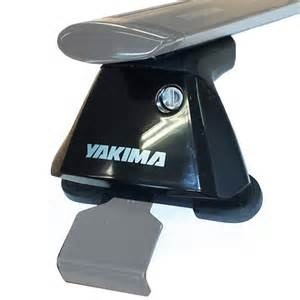 Yakima Cross Bar and Landing pads required (sold separately). Every Yakima Control Tower needs a specific Yakima Landing Pad. 15 versions of Landing Pads can fit 50+ different vehicles. You would normally need one pair for the front rack and another pair for the rear rack. Some vehicles can use Q Tower in the front doors and Control Towers in the rear roof track. Control Towers and crossbars required. Landing Pad 1,2,3,4,5,6,7,8,9,10,11 and 14 -contain two per box. 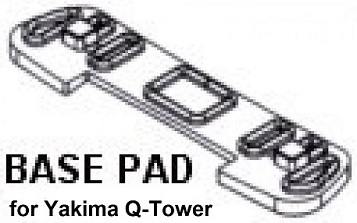 Every Yakima Sky Line Tower needs a specific Yakima Landing Pad. You would normally need one pair for the front rack and another pair for the rear rack. Some vehicles can use Q Tower in the front doors and Sky Line Towers in the rear roof track. Sky Line Towers and crossbars required. Landing Pad # 12, 13, 15, 16, 17, 18, 19, and 20 cost more because there are four per box. This is a box of FOUR RidgeLine Towers by Yakima. 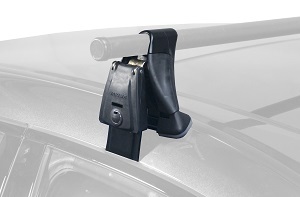 Get more productivity and safety from your Car, Truck, Crossover, SUV or Minivan with Yakima Ridge Line Towers. Quick and easy attachment to your vehicle's factory mounted flush roof rails. Snap-fit design provides solid, secure fit to vehicle. 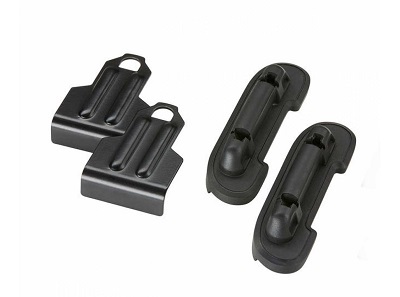 Ridge clips fit a broad range of Factory racks, flush rails and other vehicle applications. 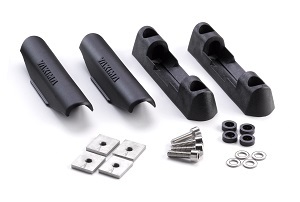 One box of Yakima RidgeClips is required for each box of Yakima RidgeLine Towers. New in Box... Each box contains four clips and four RidgeLine Tower base pads. Instructions. Complete Yakima Ridge Line Tower rack system; just add kayak saddles OR canoe brackets, straps and you're ready to go paddling! 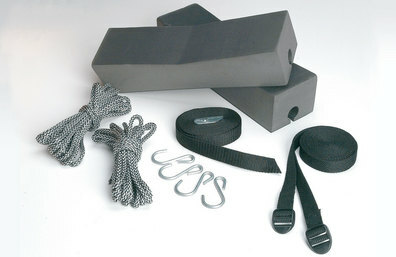 Kit includes 4 Ridge Line Towers, 4 Ridge Clips, 2 crossbars with end caps and instructions. 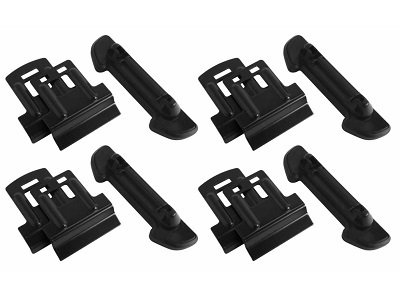 Ridge clips fit a broad range of Factory racks, flush rails and other vehicle applications. Low-profile, aerodynamic design. SKS lock compatible (sold separately). ADD $10 ea. for 78" or 80" bars. 1A Raingutter Tower a great Rack for all cars and trucks with raingutters. 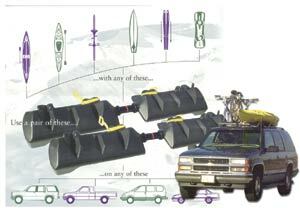 Attaches to vehicles with raingutters, or with brackets to caps and camper shells. Made From Zytel nylon -super strong. Adjusts to non-parallel raingutters or mounting brackets. Complete Yakima Raingutter rack system; just add kayak saddles OR canoe brackets, straps and you're ready to go paddling! 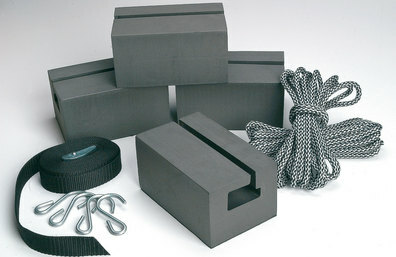 Kit includes: four 1A Raingutter Towers and 2 crossbars with 4 end caps. 1A Raingutter Tower a great Rack for all cars and trucks with raingutters. Attaches to vehicles with raingutters. Adjusts to non-parallel raingutters or mounting brackets (sold separately). 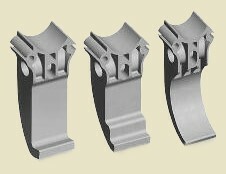 Curved or straight rooflines ok.
SKS lock compatible (sold separately) ADD $10 ea. for 78" bar. OR Free In store Pick-up. Enter your Vehicle Year, Make and Specific Model: Choose FedEx Shipping or Store Pick Up: Free Shipping to 48 States Free In-Store PickUp Assemble and Install ADD $40. Use the LongARM as a pick-up truck bed extender; extends the length of any truck bed up to 4 feet. Light and strong, this aluminum hitch mounted rack is the ideal solution for hauling fishing kayaks, boards, lumber, ladders and canoes. Adjustable to three distinct load-carrying positions and rated to carry up to 300 pounds (in lower position). Yakima LongARM hitch rack adjusts to tailgate level or bed level or cab level (an optional extender piece is required for cab height). Select;Free Shipping to 48 States. Say hello to the SUPPup. A faithful companion with soft padding to hug your board, self adjusting slider for varying board widths, and straps that stow for travel. 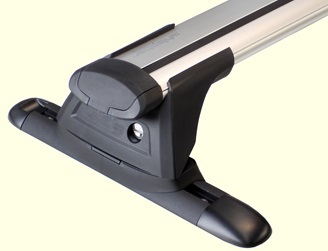 Slider adjusts to fit boards up to 34" wide. One box of Yakima Roundbar SL Adapters. The Roundbar Adapter allows you to adapt Yakima Round Crossbars to the Streamline Rack Systems (BaseLine, SkyLine, TimberLine & RidgeLine). One pair. Round bars. For use with Yakima rack towers. For size recommendations see Yakima fit list or give us a call. Shipping $18.95 [to 48 states]. One pair. Core bars. For use with Yakima rack towers. For size recommendations see Yakima fit list or give us a call. One pair. 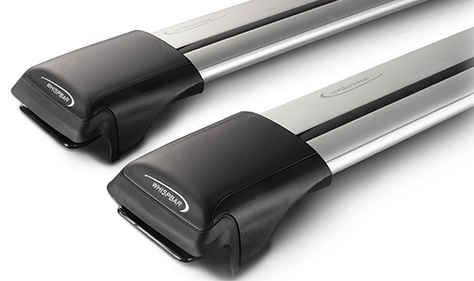 Jetstream bars. For use with Yakima rack towers. For size recommendations see Yakima fit list or give us a call. Choose from three different lengths: 50", 60", or 70". 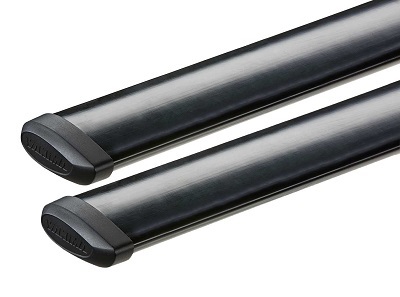 Choose either Black or Silver Jetstream bars. Lock all your Yakima goodies with one key. You'll want at least one Lock Core per Tower and possibly more for accessories. 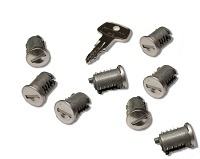 Lock Cores come in packages of 2, 4, 6, 8, 10, and 12. You'll need to order one SKS lock core (sold separately) for each Accessory Lock Housing in order to lock the accessories on your rack. Compatible with standard Or SUV versions of Oak Orchard's J-Cradles and GullWing Saddles! Order any Qty for one low shipping price. A Fairing or Wind Shield for Yakima racks reduces wind noise and increases fuel efficiency by making your YAKIMA rack more aerodynamic. 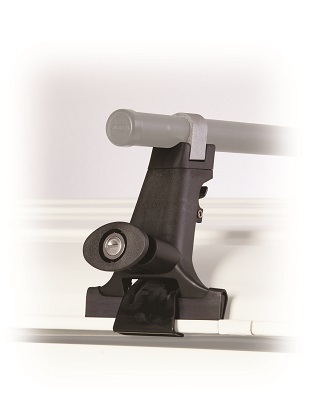 Tool-free installation; integrated snap-arounds make installation onto round Yakima bars a breeze. Protective bumpers won't damage your car's paint. Lockable with SKS lock housings and cores (sold separately). 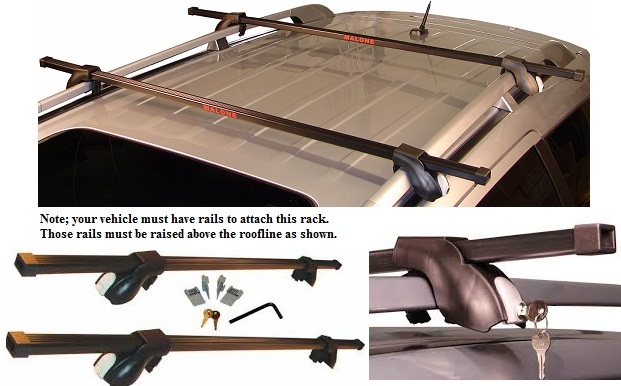 WIND SHIELD is Compatible with standard Round YAKIMA cross bars, Core bars OR Jetstream bars. FAIRING is Compatible with standard Round YAKIMA cross bars ONLY. 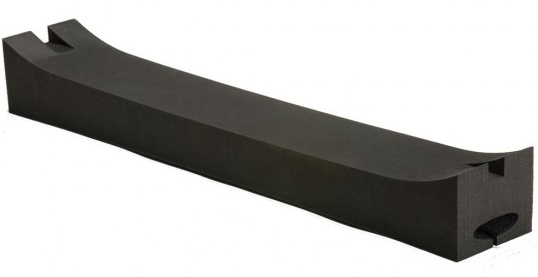 Oak Orchard's exclusive oversized foam base blocks fitted with Yakima bars. Choose from 58" or 66" bars. Gunwale Brackets, J-Cradles and other canoe/kayak accessories sold separately. Oak Orchard's exclusive foam base blocks fitted with Yakima bar and two end caps. 1 bar, 2 foam base blocks, 1 install strap and 2 bar End Caps. Oak Orchard's exclusive Wonder Bar Kayak Saddles fitted with Yakima bars. Fits any car or truck with a rigid roof and doors or windows that open. 16 piece kit. Comes fully assembled. 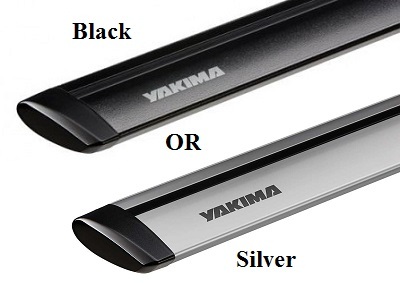 • 2 Yakima Bars -choose 58" or 66"
Fits any car or truck with doors or windows. 12 piece kit. Comes fully assembled. 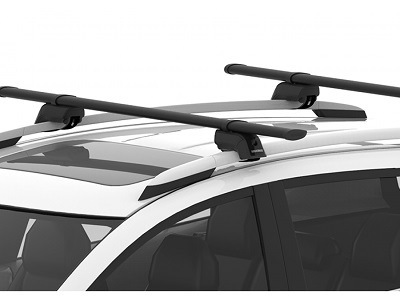 The Multisport Roof Rack will fit directly on the roof of your vehicle. E-Z On, E-Z Off. No tools required, just strap it on and go! 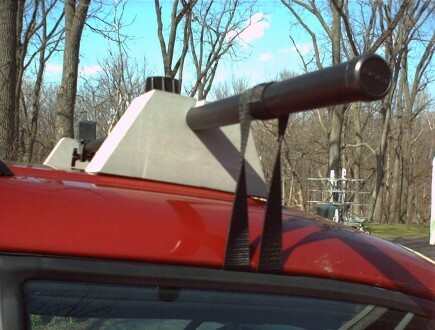 This rack telescopes in and out so the supports match the width of your vehicle's roof. 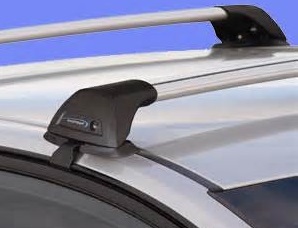 Note -rack cannot be extended wider than vehicle roof. We've seen some Really Bad racks lately that people have bought elsewhere. So all you internet shoppers; Buyer Beware. Our best advice is to buy one of the New style Yakima Racks. Only Yakima cares enough to test their Racks on each vehicle for fit quality, safety and security. We recommend you add saddles or cradles to fit each kayak you'll carry OR add our gunwale brackets to hold a canoe. Installation for Malone products is optional Extra... See our store for details. WhispBar racks are made by Yakima as their premium quality rack. WhispBar racks are super quiet and also very sturdy for any canoe or kayak load. Lots of styles to pick from so we can fit many vehicles. These are Clearance SALE models. 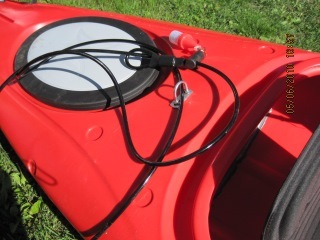 Add optional extra Kayak Saddles OR J-Cradles to carry kayaks OR add Gunwale brackets to carry canoes. The Flush Bar Rack, Through Bar Rack, and HD Bar Rack all require a fitting kit. The Rail Bar Rack does not need a fitting kit. We'll include a Fitting kit IF your vehicle requires one. 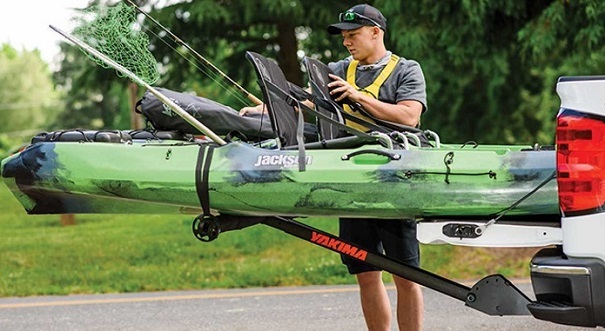 These fancy kayak carrying gadgets may be added to your WhispBar rack. They fold flat when not being used to carry your kayak. Choose wb400 to carry a kayak on it's side OR wb401 to carry a kayak flat. These are Closeout clearance SALE models. T-Bone by BooneDox is the best pick-up truck bed extender available. Aluminum construction designed and built in the USA. Stows away easily when not being used to carry your canoe or kayaks safely. Solo model, for one craft only. Tandem model, good for one or two boats. Thanks to the quick-installation hardware, Yakima Cargo Boxes mount onto your car rack system in a matter of seconds without any tools. They open on either side, so you'll never have to do laps around your vehicle to get your stuff. They are certain to incite envy in neighbors, family members, friends, enemies, house pets and random strangers. So pick one up today, and start experiencing the feeling of gear-hauling satisfaction only owners of Yakima rooftop cargo boxes know. NEW; extra fuel efficient "Carbonite" black finish available on SKYBOX models! SkyBox, finish; Carbonite. color; black. size 12, 16 and 18. RocketBox Pro, color; black. size 11 and 14. Pro Rack, color; black. size 10. We also stock Thule racks and accessories. Call for details. 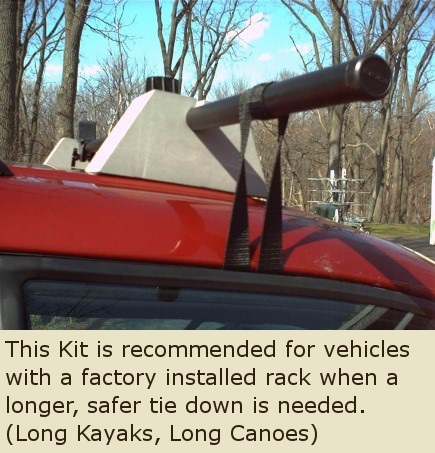 carrying your canoe or kayak safer and easier, such as kayak cradles, gunwale brackets, J-Cradles, saddles, rollers, foam blocks, straps, etc.